Please note - I actually like East Germany, but this does represent how some view the "other side". 1. This suit has been in my family for five generations. Fail to appear well groomed and you've failed before you've said a word. 2. You think this is disorganized. Wait till you see me on work projects. Neglecting to bring information required on the application, or bringing too few copies of your mistake-free CV, looks just plain careless. 3. I'd rather watch Stupid Criminals than research your company. 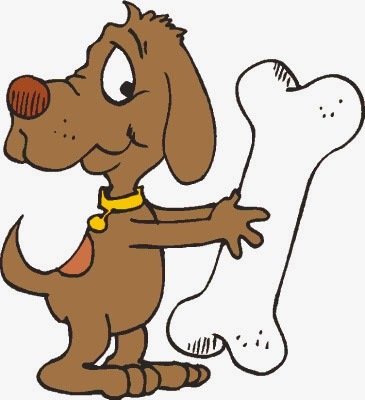 Bone up on recent new business the company has landed or write-ups about the firm in trade publications. The following questions and answers were collated from British GCSE exams (16 year olds)! A: The body is consisted into three parts-the brainium, theborax and the abdominal cavity. The branium contains the brain, the borax contains the heart and lungs, and the abdominal cavity contains the five bowels, A, E, I, O and U.
Q: Use the word 'judicious' in a sentence to show you understand its meaning. 1. Bring a pillow. Fall asleep (or pretend to) until the last 15 minutes. Wake up, say "Oh gee! I'd better get cracking!" Scribble furiously. Turn it in a few minutes early. 8. Bring a video game. Play it with the volume at max level. 11. Run into the exam room looking about frantically. Breathe a sigh of relief. Go to the instructor and say "They've found me. I have to leave the country," and run off. 17. Bring things to throw at the instructor when she or he is not looking. Look at the person nearest to you and say, "I can't believe you just did that!" 18. As soon as the instructor hands you the exam papers, eat them. 25. Arrange a protest before the exam starts. Tell the instructor that whether or not everyone's finished, you are all leaving after an hour to go for a drink. 26. At some point during the exam, start crying for your mummy. 28. Comment on how attractive the instructor is looking that day. 29. Come to the exam wearing a black cloak. After about 30 minutes, put on a white mask and start yelling "The phantom of the opera is here, inside your mind," until they drag you away. 31. Upon receiving the exam, look it over. While laughing loudly, say "you don't really expect me to waste my time on this drivel? 'Neighbours' is on!" 33. From the moment the exam begins, hum the theme to 'Mastermind'. Ignore the instructor's requests for you to stop. When they finally get you to leave one way or another, begin whistling the theme to 'Dambusters'. 41. Take your Gameboy into the exam. 47. During the exam, take apart everything around you. This includes desks, chairs, and anything you can reach. You might want to take a screwdriver in with you.